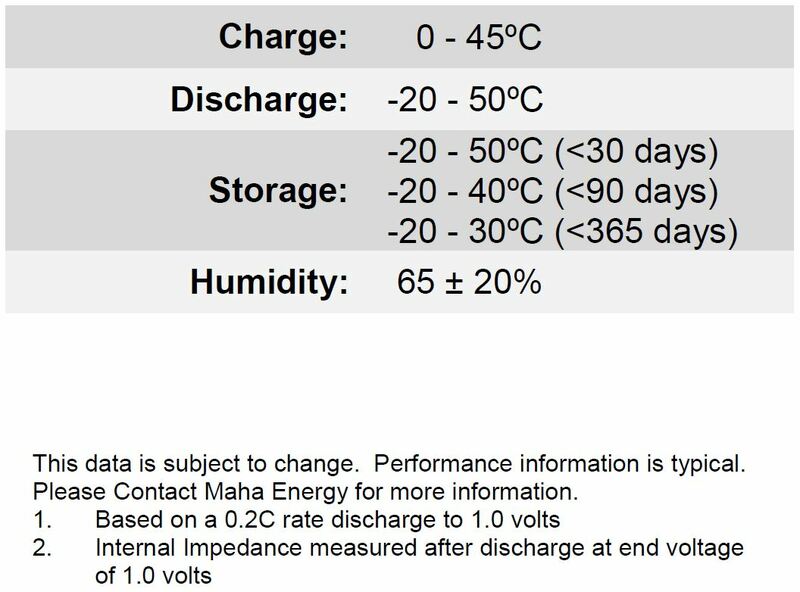 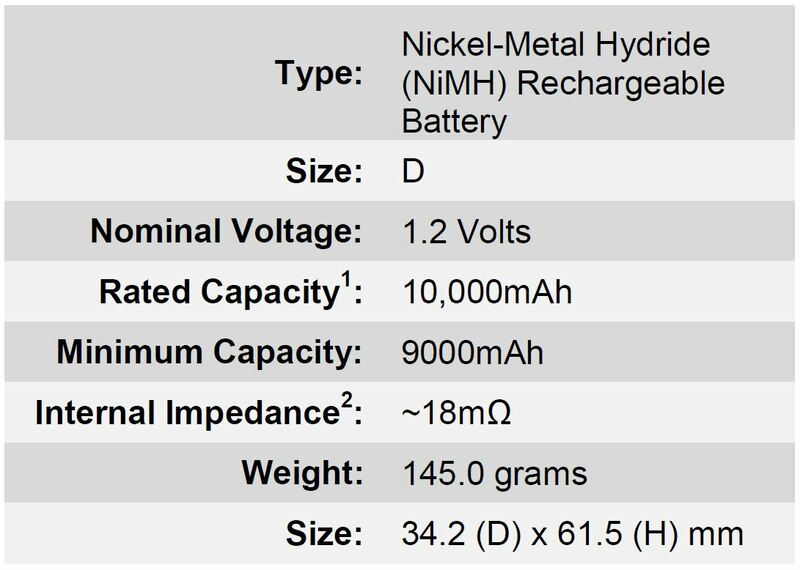 The Powerex Precharged MHRDP2 Rechargeable D NiMH Batteries (1.2V, 10,000mAh)- 2-Pack is a package of 2 D nickel-metal hydride (NiMH) batteries. 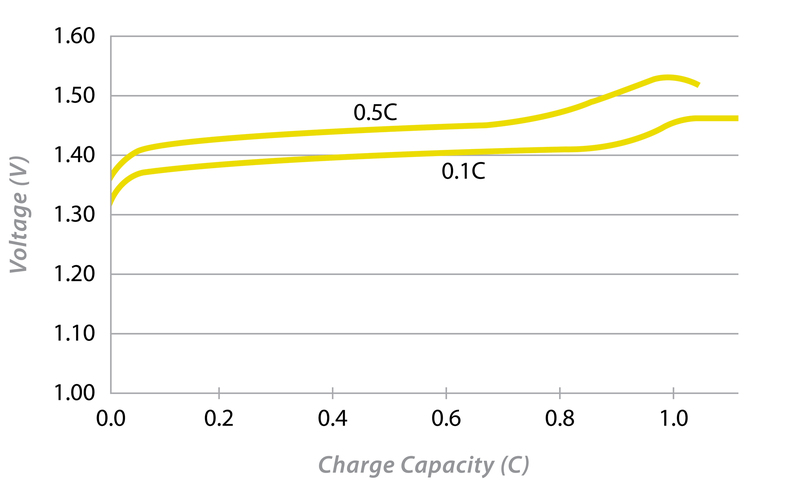 They have a voltage of 1.2V and a capacity of 10,000mAh, with a minimum capacity of 9000. 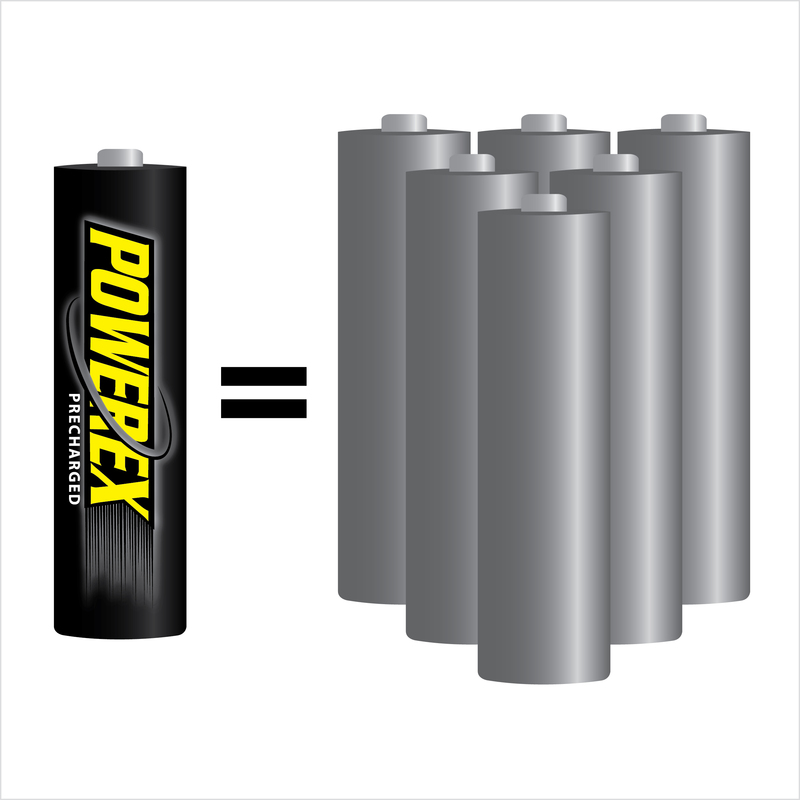 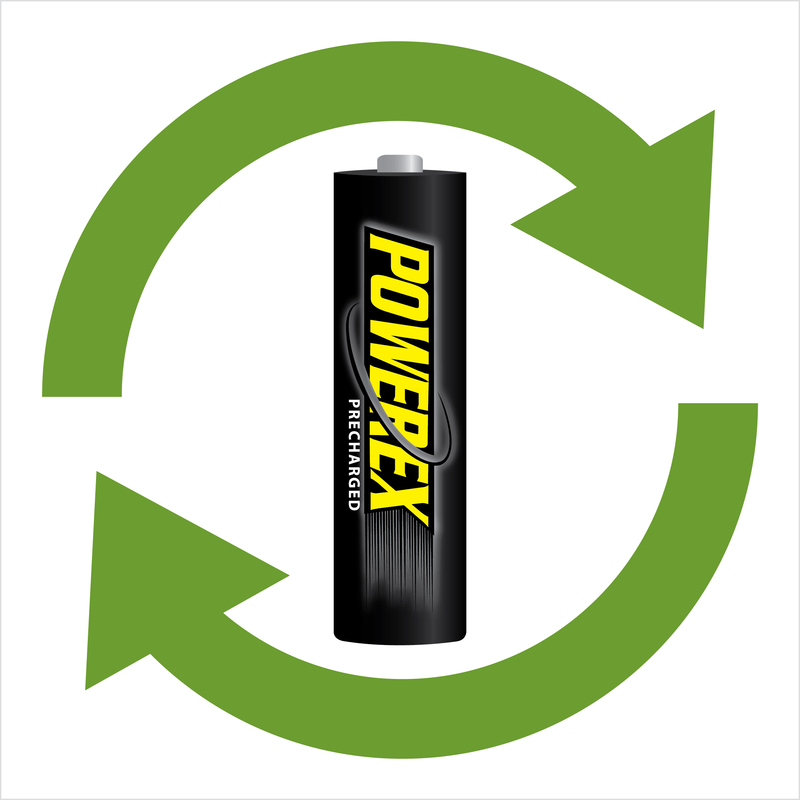 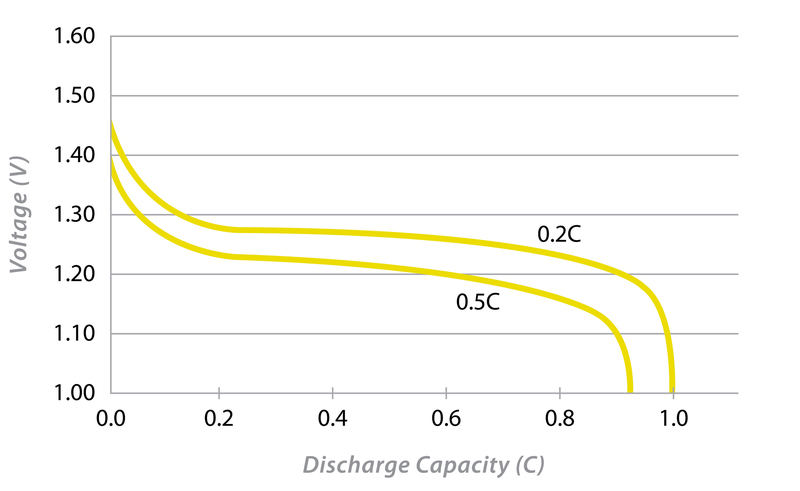 The batteries can be stored for extended periods of time without substantial loss of capacity. 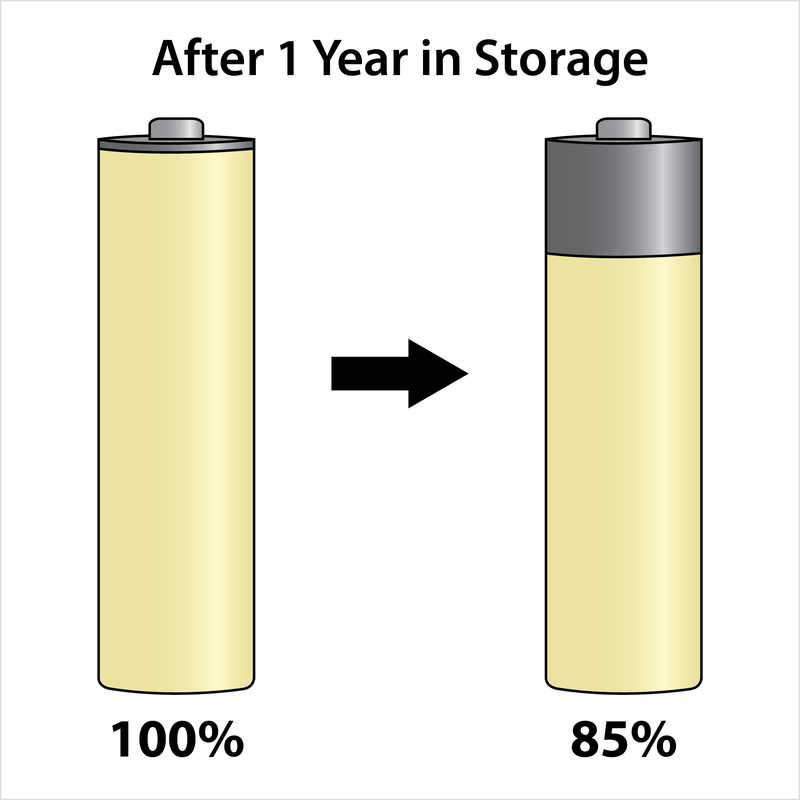 For instance, after a year, they will still retain up to 85% of their full charge.